For pool and spa water filtration, look no further than the Vak-Pak brand for your replacement filter needs. For pool and spa water filtration, look no further than the Vak-Pak brand for your replacement filter needs. 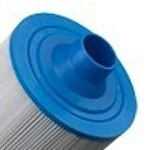 Filters Fast offers goods for our customers from this brand, as well as many others, on our website.